108 registered members (Animisha, agraffe, akc42, AssociateX, brendon, ando, atcsam, A. Lucato, 21 invisible), 1,196 guests, and 4 spiders. It's what your perception of what you like as sound . Ones perception is based on many things ,memory for example ,what is stored in our mind .For me the sound of an accoustic piano in a home gives me a memory which is to me is spritual .,a memory of playing to my parents at home .This was a time when the piano was an important part of many homes .Few homes from where I came from had grand pianos but often an upright. For people who are younger this may be different .The price of a reasonable upright is we know so much higher than a digital and you can even buy new .!!! Also many live in apartments so would need silent accoustic pianos .So they decide to buy a digital and save for that grand.,of course I believe they would play that grand better if they practiced on an accoustic upright piano. BUT I am not going into that now ! The acoustic piano will never go away. But the technology available in today's top end digital and hybrid pianos is absolutely breath taking. Loved that youtube video ,just shows how new experiences change the way we think ! It does not try to answer the op ,s question because there is no real answer . I tune Yamahas and Kawais from the 1960s which hold their tunings for a long time. 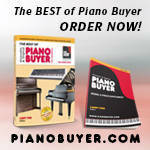 That is the case with all of the quality instruments that I tune, and even most of the older and lower quality pianos. Two things contribute to the tuning stability BDB enjoys. 1. His climate is very stable - humidity swings are limited. 2. BDB is an experienced technician who has learned how to produce long lasting, stable tunings. I have the same stability 9 months out of the year in Florida if the client uses A/C all the time. In northern climates (Georgia and north), that's not the case because humidity swings more winter to summer. Some of my clients would be better off with a digital, rather than their rusty, broken down acoustic spinet, but they want an acoustic piano. As long as that attitude exists, acoustic uprights will remain. I predict over the next few decades, all those spinets will be tossed out, and taller uprights will be the norm for acoustic pianos, while shorter upright needs will be digital, and everyone will lust for that acoustic grand. I was between acoustic pianos for 18 months, playing a digital. Then I bought a used Steinway L and I've not played the digital since. I think the OP asked the question because it is fun to talk about! He obviously knows the pros and cons. 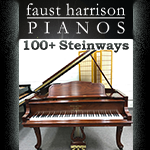 I have played a 1915 renovated Steinway B for thirty years and it is marvelous. No digital can compare... Yet. But, as Rich's video demonstrates, a closed mind can miss something valuable, and there is much to be open to in the evolving digital landscape. Six months ago I discovered iOS music making on the iPad. In the past three months I created two thirty minute long, four movement "Synthonies" and a dozen jazz pieces. All that music is piano centric and I used an average, noisy, Casio keyboard as a controller. Did I miss my Steinway? Frankly, no. I was so caught up in the amazing opportunity to create ersatz symphonic music and quite credible piano bass jazz pieces that the keyboard limitation disappeared in the white light of intense creativity. It is true I have composed extensively on an acoustic instrument, but never so productively and completely realized as using the amazing tools available for the iPad. And, it is incredibly affordable. Imagine a full featured recording studio, full panoply of internal effects, unlimited tracks, track freeze and undo function that eliminates loss of hours of work from a careless misstep.... For fifty bucks! And this amazing app is based on the very popular Cubase desktop software from Steinberg. Basically, for $500 One can set up a studio that would have been unobtainable in 2000 for twenty times that amount, with an array of instruments, quality effects, recording studio and sheer workflow delight based on poking an iPad, which is way more fun than clicking a mouse. And that includes purchase of a used iPad and basic keyboard. ( and usually financially pressed) musician can afford his or her own orchestra, jazz ensemble, choir, cathedral organ or rock band, available any time night or day and can take it along on their daily commute! And it is relatively easy to learn the ropes. Can anyone disagree how fantastic the opportunity is? And it will only improve exponentially. Of course not everyone will want to do this, but even those who want to concentrate on the piano can lean tremendously about music from the most basic incursions in this area. And it is great fun! By the way, an iPhone will do almost as well as an iPad. I am not proselytizing here, but I do think it important that all musicians are at least aware of the possibilities that did not exist three years ago excepting an expensive desk or laptop format with a steep learning curve. Thanks for listening! I 'm not sure if the op means upright or vertical piano. I had a old kimball console some years ago that was awful. Was very hard to play hard to keep in tune. I stopped playing it, got rid of it. and bought a digital. The digital was so much better. Then 4 years ago I bought a 1974 yamaha u7. I love my u7. Also I have a mute rail in piano so I can play at night without disturbing neighbors. I think a digital is much better then having a upright that is in bad condition but if you have a good quality upright I prefer it over a digital. I love the feel and sound of a upright. I would like a grand but that may be in the future. The important part about tuning stability is that it is rarely the pin block that is problematic; it is the effect of environmental conditions. In the debate about digital versus acoustic, it is also important to remember that not all digital instruments are tuned well, and that they are not maintenance free, except in those cases where they are replaced instead of repaired. The cost of maintenance differ, and it is hard to say which is cheaper: an acoustic piano that needs a little maintenance often, and major maintenance almost never, or a digital that needs major maintenance or replacement more often and very little minor maintenance. I only have a digital but would like to add an upright. I'd learn pieces on the digital with headphones so as not to torture my family when playing the same 2 bars over and over and over. When decent on a new piece I'd play it on the upright. Maybe after I finish the second Faber book I'll reward good ole me with a good used upright. I have to say it is a lot of fun to switch the digital to harpsichord strings, organ or electric piano and play a song to get a different sound. That is one big digital benefit. Last edited by Chili_Time; 10/02/18 02:04 PM. Six months ago I discovered iOS music making on the iPad. In the past three months I created two thirty minute long, four movement "Synthonies" and a dozen jazz pieces. All that music is piano centric and I used an average, noisy, Casio keyboard as a controller. .... I am not proselytizing here, but I do think it important that all musicians are at least aware of the possibilities that did not exist three years ago excepting an expensive desk or laptop format with a steep learning curve. Thanks for listening! How does this compare with MuseScore (free notation editor) and sound fonts on an ordinary PC? Last time I looked (3-5 years ago?) some of the MuseScore guys had transcribed entire Beethoven symphonies and had them playing back rather well. MuseScore allows you to assign playback velocities and timing tweaks to notes and perhaps a few other tricks, to overcome the limited information content of traditional notation. One problem with digital pianos is that if you put the volume too low, you tend to compensate by using more force to play the piano. Another problem: The touch and feel of the keyboard. The best action available is from a grand piano. They are usually better than upright pianos; and these are usually better than non-hybrid digitals. Which is why I am not at all impressed with the prospect of using software for an iOS if I have to play a "basic keyboard". And finally: An acoustic upright is not only a music instrument, but also a piece of furniture that (to me at least) looks and smells better than a digital piano. These are already three reasons to pick an acoustic upright over a digital. 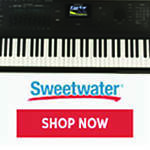 The great thing is that today you don't have to choose between one or the other; you can get what you want from both worlds in one instrument, by picking an acoustic piano with silent system; or a digital piano with real grand action. Last edited by patH; 10/03/18 06:50 AM. Kawai K500 ATX or Aures or similar silent YUS Yamaha is probably good answer for acoustic/digital dilema. Good price and reliable acoustic action and digital system. Don`t get me wrong, I`d be rather some Bluthner, Bechstain etc with silent system, but price is very high and I dont know how reliable digital system is compare to experience that Yamaha or Kawai has with electronics. A 20-year old , decent quality upright ( say a U1 @$4500) will outperform a comparably priced digital. And it will last another 20-30 years, far longer than the digital. Not sure I could get it upstairs and maybe a bit too heavy? 3 times the weight of my LX7. If I had the room downstairs, maybe. Nothing wrong with any of these pianos ,they are all pieces of furniture even a grand . Especially a grand. Is there any furniture out there that looks better then a grand? I have a 6’ kawai grand and a digital and I only play the digital when necessary. Why? It’s not complicated, the experience of hitting a key on an acoustic and hearing that ringing tone in the instrument and the room is entirely unique. An acoustic piano is an experience unto its own. It’s that simple. You can not compare the two because it is apples and oranges. If you are in an environment where digital is best or if you like the whole digital experience that’s great. Yet the feel of an acoustic on your fingers and body and ears is something rich and beautiful. I love it, but to each their own. Same here accoustic anyday .Heard a Forte Piano yesterday Even then would have chosen an accoustic? ??!!! Just JOKING ! that instrument was made in 1750 . I wonder if this argument was going on when the Forte Piano started to become popular .Yesterday in Paris we visited a musical instrument museum .We saw early music instruments such Lutes and recorders including other instrument such as the violin family .Then we saw beautiful clavichords and harpsichord .Through earphones we listened to what the different instruments sounded like .When it came to the first pianos we heard the Forte Piano .The sound was suddenly different and you knew Pianoworld was born ! How did people react in Mozarts day to this incredible clear bell like sound .You must have had the more conservative who preferred the clavichord or harpsichord .Yet the people who heard this music were only a privileged few .The harpsichords were really esquisite looking far better looking as furniture than the new MODERN Forte Pianos !